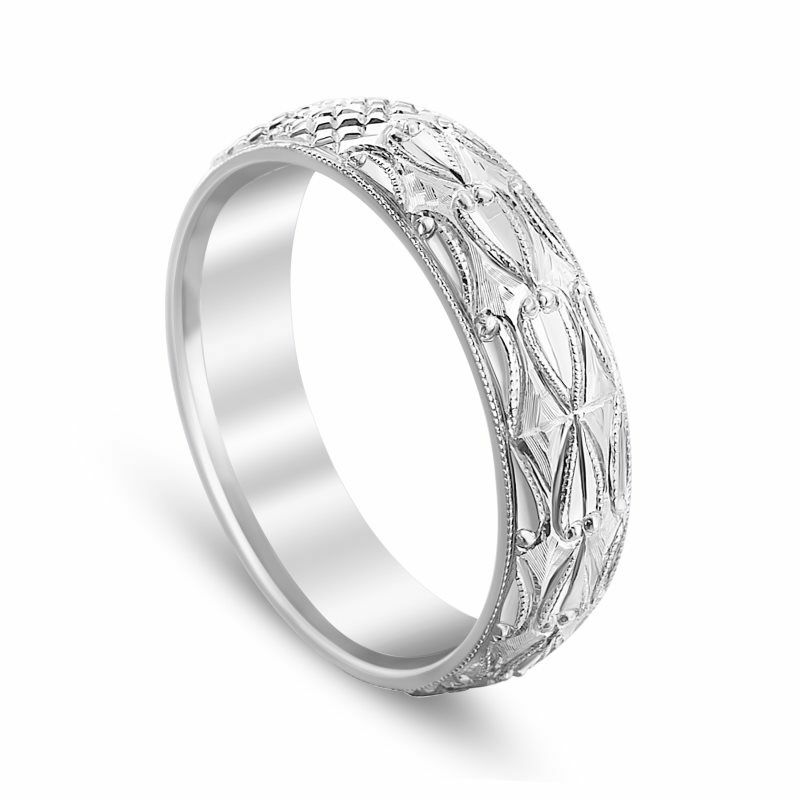 Men's cut corner comfort fit western scrolled engraved wedding band. 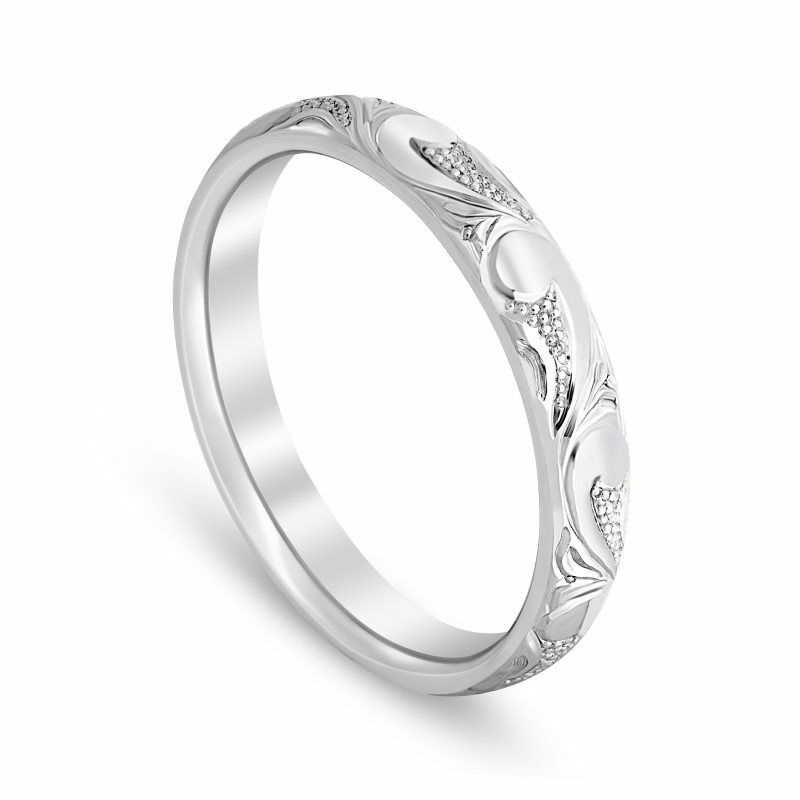 Available in All Finger Sizes. 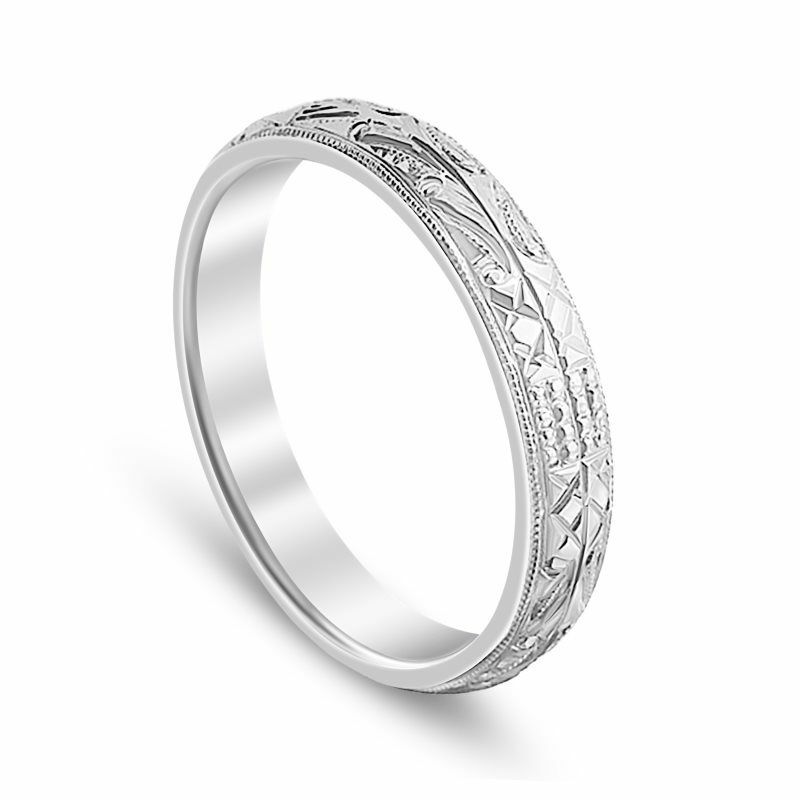 Men's western style scroll engraved comfort fit wedding band with milgrain edge. 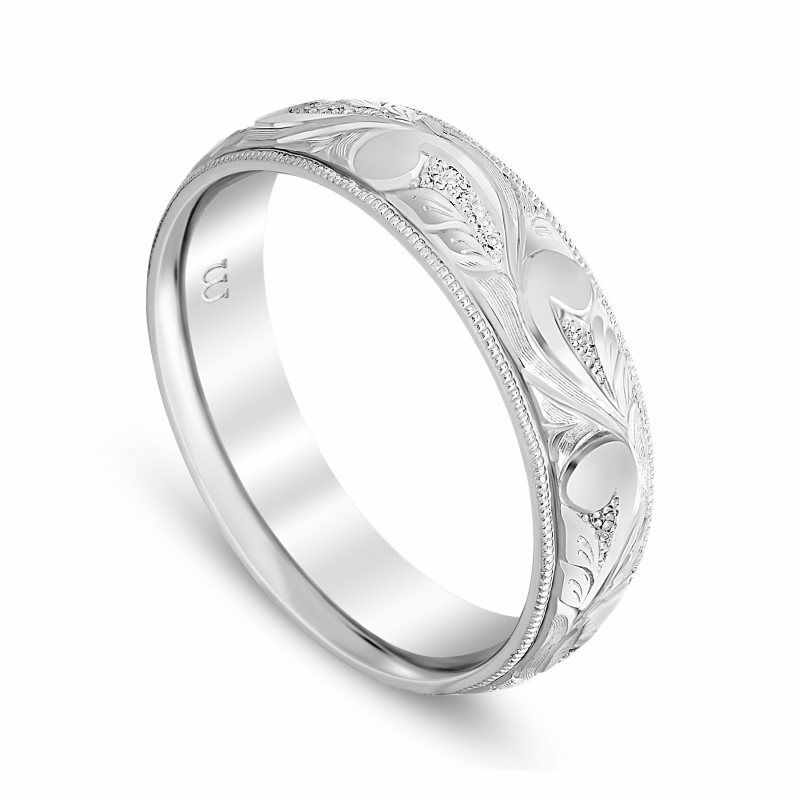 Men's western style scoll engraved comfort fit wedding band. 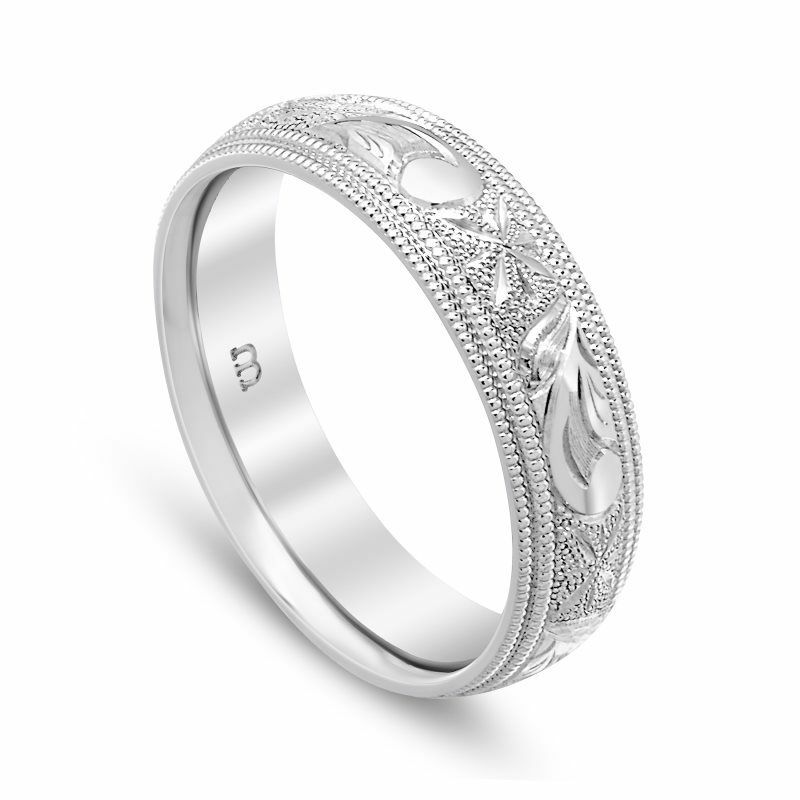 Men's comfort fit scroll and star engraved wedding band with double milgrain edge. 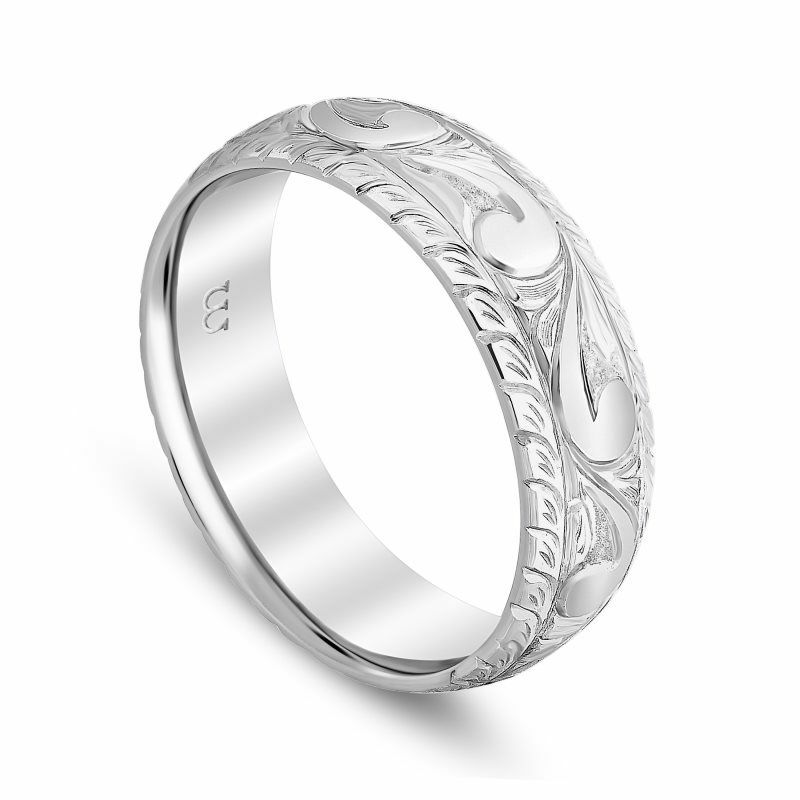 Men's scotch and scroll engraved wedding band with milgrain edge.